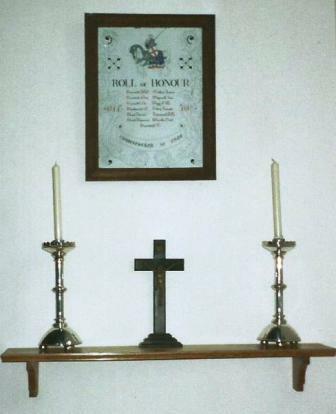 "The Buxton Advertiser" of the 20th June 1924 reported that on the previous Sunday, the 14th June, at the Whitsuntide Church Service, St James, Harpur Hill, a 'War Memorial Tablet Flower Stand' was dedicated. It had kindly been donated by Mr Laurence Wardle. 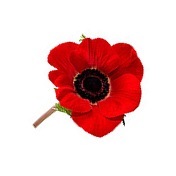 So that the family and friends of the dead could lay flowers and wreaths and the wind would not blow them away. This was before the main war memorial was built. It is not clear what, if any, relative Laurence was to Robert Wardle's family. In 1924 he was aged 63 and a "Stone Mason". About the same time Buxton Lime Firm Co Ltd gave land to the village for the erection of a War Memorial and allowed their workmen, many of whom were former workmates of the dead soldiers, to transport the stone and build the surrounding walls and pillars. 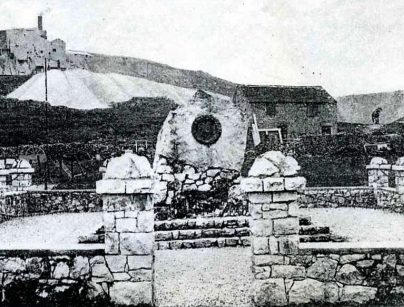 As the picture on the right - taken from an ICI Magazine from 1928 [Buxton Library] - shows, the Harpur Hill Memorial, on Burlow Road, is of a unique design, chosen because of the link between both the area and the men to the quarry industry. It takes the form of a rough-hewn limestone boulder on a pedestal of random limestone blocks, and weighs about 9 tons [about 8165 kgs.]. 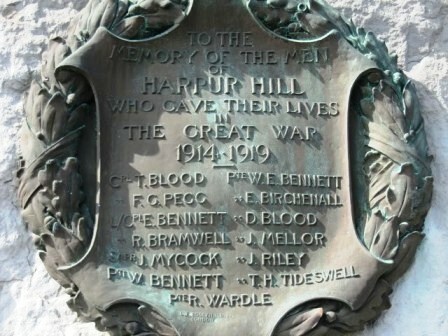 The Harpur Hill Memorial was dedicated in the same year - 1928. 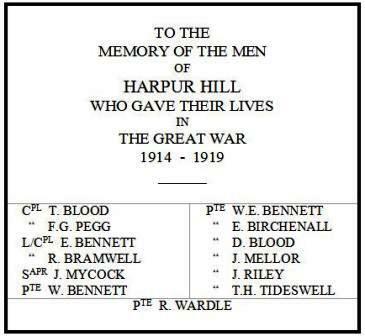 Around the time when most of the Great War soldiers were born, c. 1890, Harpur Hill was a small village of less than 100 houses, mainly for quarry workers in the limestone industry. Kelly's Directory of 1895, refers to a "Mission Church and School erected at Harpur Hill in this parish by the Buxton Lime Company - who also pay an annual stipend to the curate, and have further established a reading and news room; the Rev. Henry Clark May, L.Th. of Durham University has been curate in charge since 1894". The St James's Parish Register entries do not begin until 1891. However, it seems that the Reverend May was not its first curate, as Kelly's Directory of 1891 refers to the Reverend John Hilton Ireland, M.A. of St. John's College, Cambridge, as being curate in charge since 1887. 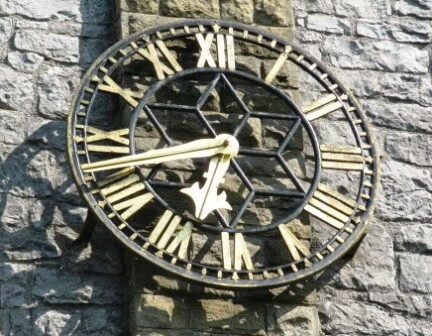 The clock over the main door of St James' Church was dedicated to the memory of the 13 men of the Parish, all of them workers in the limestone quarrying industry, who gave their lives in the Great War. On the left side of the door to the church is an engraved bronze plaque bearing the names of the men. 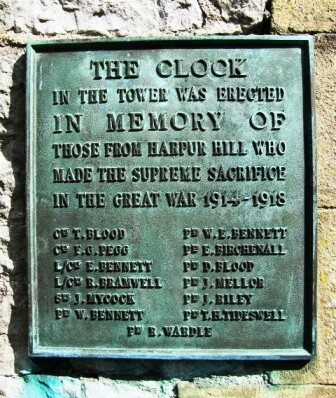 These names coincide with the names on the village stone memorial, just around the corner on Burlow Road [see below], and all of the men are also named on the Town Memorial on The Slopes, Buxton. 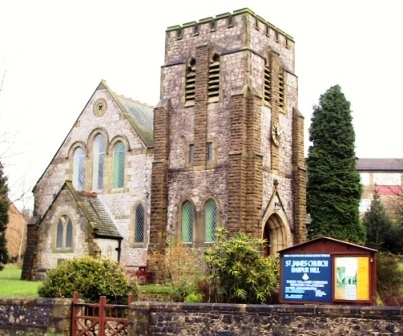 In addition Harpur Hill Methodist Church (opened in 1889) stands in the middle of the village and is unusual in that it has a burial ground. Pt. 42979 Thomas Henry TIDESWELL is commemorated on his parents' grave in the Churchyard. 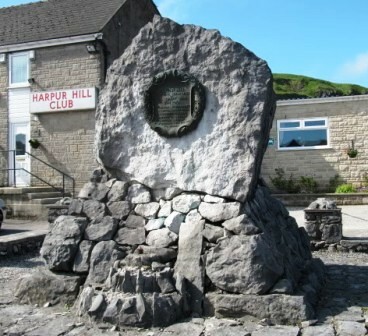 "War Memorials Online - Harpur Hill, Buxton"
As early as 1981, however, the site of the Memorial came under pressure from conflicting demands. 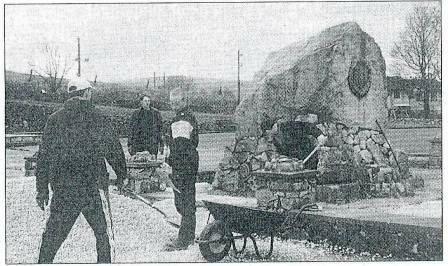 When the Memorial was first built it occupied a position in the open centre of the village next to a bowling green and club house built for the quarry workers. surroundings is a car park. 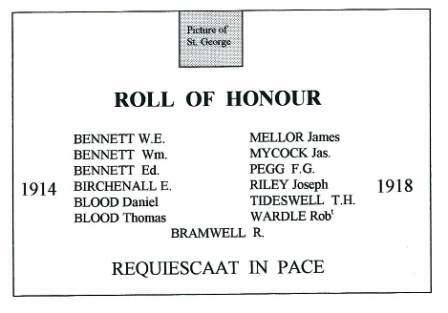 The Service details for these men can be accessed using the alphabetical names index at the top of the page.